La Crescent visitors will notice something new as they drive into town. After six and a half years of planning and work, the city has a welcome sign. Rotary Club Treasurer Bill Ohm says the sign is the result of a lot of work, from a lot of people. Conversations about the sign began during Applefest in 2009. It's only fitting that you can see the sign now, just before Applefest 2015 begins. La Crescent Rotary members, the Chamber of Commerce, City Council and business leaders all had something to do with making the sign a reality. Now, the Lion's Club is going to provide landscaping around the sign located along Highway 61. Ohm says another group is responsible for the sign that let's you know you're in town. 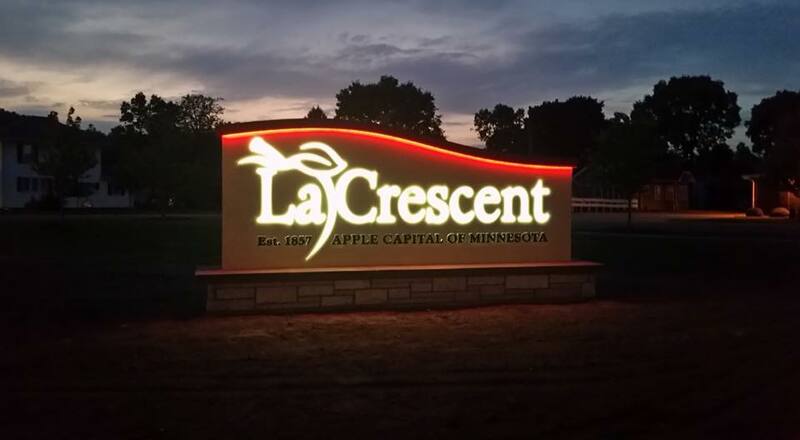 He says residents stepped up immediately, donating money to make the La Crescent sign possible.